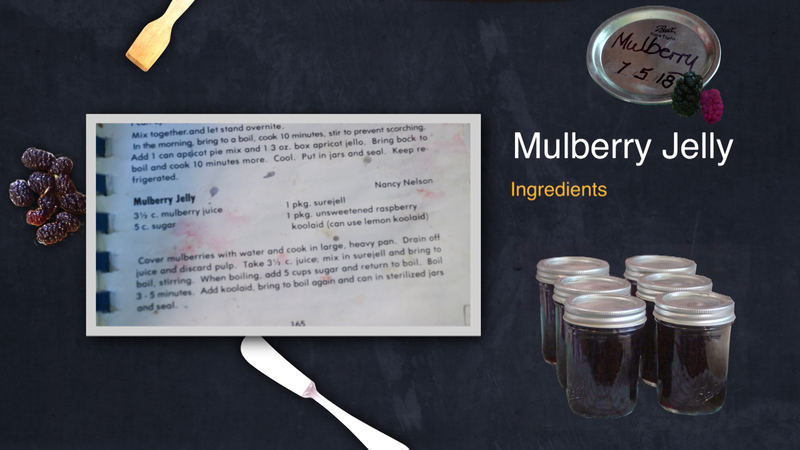 Amber Lounsbery grew up picking mulberries from trees around her home. Not one to let good produce go to waste, her mother was an avid canner. Now Lounsbery harvest the dark juicy berries from trees that line the driveway and yard each summer. 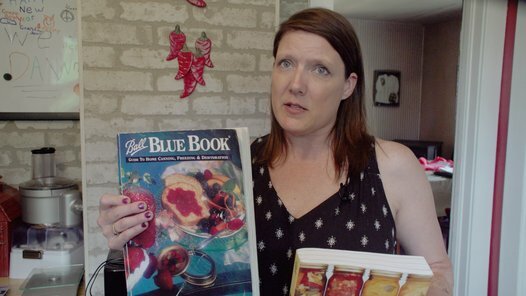 Her prize winning jelly recipe is canned and used to treat friends and family through the following year. Recipe that Lounsbery bases her recipe on. 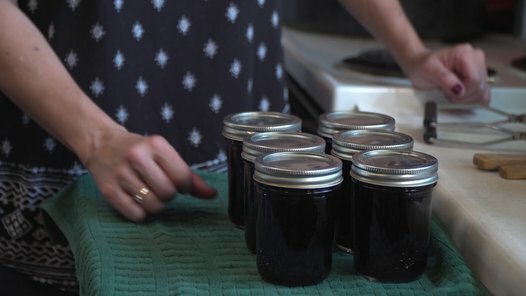 The process is consistent with any canning process. Make sure to gather all items needed including a funnel, jar grabber and magnetic lid tool. Clean and sterilize everything. Red raspberry Kool-aid used in the original recipe is not readily availble. 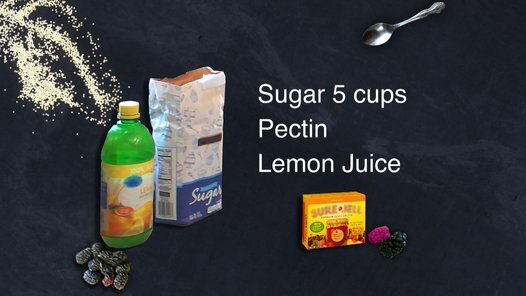 Lounsbery uses 2Tbsps of Lemon Juice to make sure that there is an appropriate amount of acid. 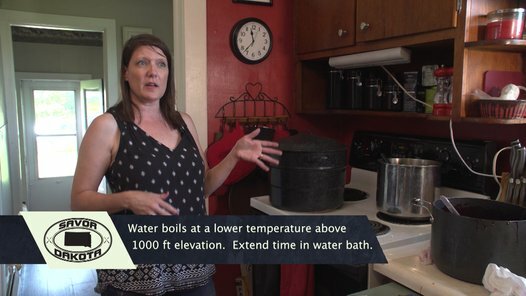 • Make certain to use a large pot that allows for expansion. The liquid volume will increase as it boils. 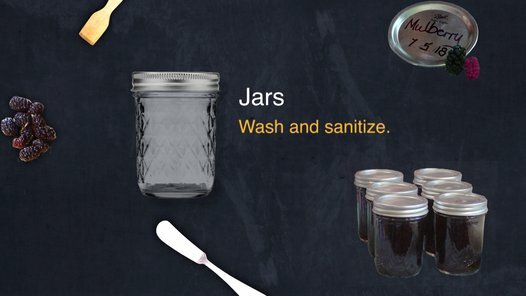 • When filling, leave a quarter inch head space in each jar. Wipe excess off the rim to ensure a tight seal. • Also, pay attention to duration of time in the canning bath. 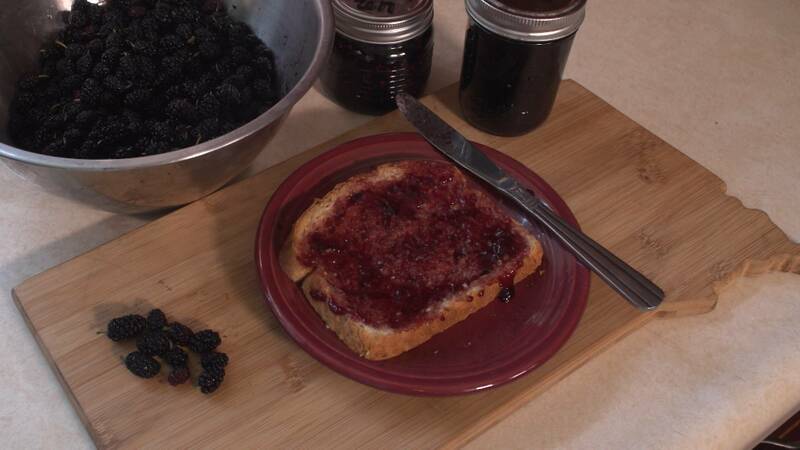 Due to South Dakota's altitude, jelly jars should be boiled for an additional five minutes to get a safe seal. 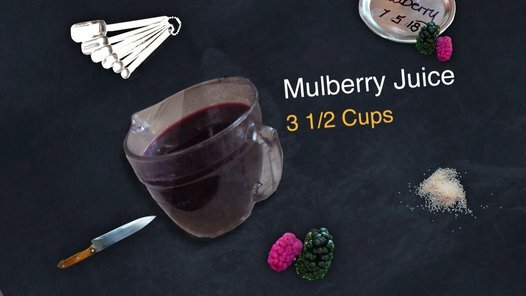 This recipe makes six pints of jelly. Lounsbery points to a number of resources available for canning. It's a fun hobby that anyone can enjoy.